Home Blog Tidbits Launch Tuesday: Crayola Creative Pack! Launch Tuesday: Crayola Creative Pack! Welcome to Launch Tuesday!!!! I am so excited to be officially joining the online homeschooling community. This week promises to be a fun way to get to know each other and get some free stuff! I tried to make sure there was something for most ages/levels. Most of the giveaways are materials I have used or plan to use to supplement my own students’ learning. This will help your student not only learn colors, shapes, numbers, and letters but also pre-writing skills, fine motor skills, and attention skills! 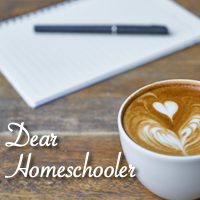 As a homeschooler, what FEATURES do you like here at Dear Homeschooler or would like to see? As an aunt, uncle, grandparent, daycare assistant, etc., what FEATURES would you come back to Dear Homeschooler to access? Current Features: Weekly Bulletin, Roll ‘Em, Snaps!, Dear Jennifer (Home Support), contact email, Resource Room, Blog posts, commenting, etc. Other Features: forums, buy/sell, link parties, special ed support, vlog, etc. Please take the time to comment below on the discussion topic and subscribe (mandatory to qualify for prize). All other options are opportunities for extra entries. Now, let’s get to that giveaway (Starts 12:15 and ends 11:59)! Be sure to come back tomorrow to enter to win the Elementary Learning Pack! Launch Monday: Preschool Pack Giveaway! I really love how open and friendly you are with your knowledge and resources. Thank you! I would love to see info on how to start homeschooling. You always see tips and worksheets to download, but how do you start. What do you need to do to get started? How expensive is it? Where can you get quality free or inexpensive resources. Is it possible to homeschool your child part time and send them to private or public school part time? That sounds like a great post series!! I will mark that in my planner. 🙂 Thanks, Tabathia. And keep an eye on the weekly bulletin Scoops for free and discounted materials. I loved the tour of your homeschool space, and I loved that you were showing a space in use that wasn’t a dedicated room. Also like the organizational tips, and the way you demonstrate the blending of two different learning levels. For instance, the fingerprint art was an excellent suggestion as it is useful for a variety of ages. I like the Resource Room.